For the 24th year in a row, the Cultural Association of Olynthus is organising the Olive Festival to celebrate the most important local production in the area, the olives! 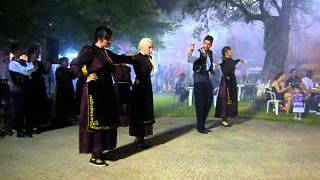 Dancing groups, traditional and folklore music will be including in the feast while all guests will have the chance to taste olives, olive paste, olive sweet spoon, olive jars and other products made of olives. Of course, tsipouro (a Greek traditional spirit) will be offered to everyone. This year, two famous Greek singers, Thanasis Polikandriotis and Grigoris Bithikotsis will perform live at the last day of the festival.